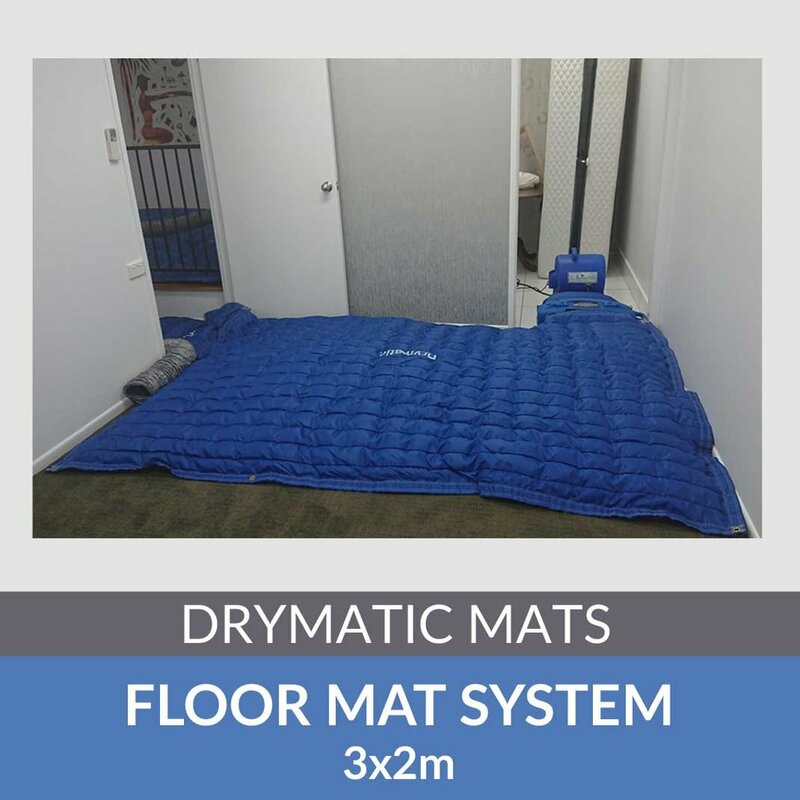 The Drymatic System offers Water Damage Restoration contractors a drying methodology that can be used across a wide range of claims; from small escapes of water, such as a radiator leak, through to total losses where a header tank has failed in a loft, saturating the whole house. The system has been designed to deliver faster drying, reduced strip-out and reinstatement costs, and less disruption for the policyholder - making it a preferred solution for Insurance professionals. Targeted Heat Drying (or Thermal Energy Drying) is the most cost-effective and efficient method of restoring water damaged structures back to their pre-loss conditions. The Drymatic System uses controlled heat to energise the affected materials, increasing the vapour pressure of the wet structure, and speeding up the process of evaporation. Once the water is removed from the structure and moved into the ambient air, the Drymatic System can then purge the building of wet air and replace it with fresh unaffected air. Drymatic technology is designed to deliver hot, dry air to the water held within the structure, in a safe and controlled way. ARE YOU A DRYMATIC TECHNICIAN OR LOOKING FOR ONE? The entire range of Drymatic Heat Drying products are developed, manufactured and tested in the United Kingdom. We have a Facebook group dedicated to owners of Drymatic products so that you can get the most out of your equipment. Our experience of the system was extremely positive and the equipment did a great job. We have only recently been introduced to the DBK Drymatic system and due to it being a relatively new technology there is a steep learning curve. Despite this our experience of the system was extremely positive and the equipment did a great job. We have been using the heat drying equipment from DBK for the past 15 months. Trial and error has been a large part of the learning along with the course DBK Australia with Garry Carroll provided. Success is measured in the materials and ability of drying different and more challaging situations. Great innovations from the team at DBK and have no problems recommending if you are getting into restoration. Drymatic Heat Drying equipment has been a fantastic addition to our business. Being able to offer more specialised drying sets us apart from other businesses in our area. Not only that the staff love its ease of use and the customers love how quickly, quietly and effectively the products operate. I Would highly recommend implementing to anyone serious about restoration.